Last Friday, the DOJ announced the second corporate Foreign Corrupt Practices Act enforcement action of 2015. It was against Louis Berger International Inc. (LBI, a New Jersey-based infrastructure and development company) and focused on the conduct of two former employees (one located in the Philippines, the other located in India) that allegedly occurred approximately 5 – 17 years ago in connection with projects in Indonesia, Vietnam, India and Kuwait. Richard Hirsch was a high-level executive at the Company, located in the Philippines, who at times oversaw the Company’s overseas operations in, inter alia, Indonesia and Vietnam. James McClung was a high-level executive at the Company, located in India, who at times oversaw the Company’s overseas operations in Vietnam and India. According to the DOJ, LBI directly and indirectly made payments totaling approximately $3.9 million to foreign government officials in India, Indonesia, Kuwait, Vietnam and elsewhere. To resolve the enforcement action, LBI agreed to pay $17.1 million pursuant to a deferred prosecution agreement and to engage a compliance monitor for a three year period. The criminal complaint charges LBI with conspiracy to violate the FCPA’s anti-bribery provisions. The criminal charges were resolved via a deferred prosecution agreement. The Statement of Facts in the DPA state, under the heading “Overview of the Bribery Scheme” as follows. “From in or about 1998 until in or about 2010, the Company, through its employees and agents, engaged in a scheme to pay bribes to various foreign officials in Indonesia, Vietnam, India and Kuwait to secure contracts with government agencies and instrumentalities in those countries on behalf of the Company and its subsidiaries and affiliates. The Company, through its employees and agents, together with others, discussed making the bribe payments to the foreign officials and the ways in which they intended to conceal the corrupt payments. For example, the Company, through its employees and agents, together with others, used terms like ‘commitment fee,’ ‘counterpart per diem,’ ‘marketing fee’ and ‘field operation expenses’ as code words to conceal the true nature of the bribe payments and utilized cash disbursement forms and invoices which did not truthfully describe the services provided or the purpose of the payment. In order to effectuate the payments, the Company, through its employees and agents, utilized various methods. In many instances, employees and agents of the Company submitted inflated and fictitious invoices to generate cash that was then used later for the payment of bribes through intermediaries. The Company, through its employees and agents, would then wire certain funds from bank accounts of the Company in New Jersey to bank accounts in various other countries for the purpose of making payments to foreign officials. In Vietnam, the Company, through its employees and agents, used the Foundation – which was in part a local labor pool – as a conduit for the payment of bribes to foreign government officials in Vietnam to conceal the bribe payments. Under the heading “Corrupt Conduct in Indonesia,” the DPA states that “beginning in approximately 2005, the Company sought contracts with the Indonesian government as a subcontractor by interposing a one-man consulting company as the prime contractor in order to avoid directly paying bribes to foreign officials even though the Company was well aware that the prime contractor was paying bribes.” According to the DPA, in 2008 “when the law firm handling the Company’s internal review directed scrutiny [at a citizen and national of Indonesia employed by the Company in Jakarta] Richard Hirsch and others attempted to discourage [the employee] from speaking with the Company’s review team.” According to the DPA, Hirsch also communicated with co-conspirators on his personal e-mail account to avoid detection by the company. In the 3-year DPA, LBI admitted, accepted and acknowledged responsibility for the conduct as described above. The Sentencing Guidelines calculation in the DPA sets forth an advisory fine range of $17.1 million – $34.2 million. The DPA states that the ultimate $17.1 million fine “is appropriate given the facts and circumstances of this case, including the cooperation in this matter and the nature and scope of the offense conduct.” As indicated in the DPA, $7.1 million of the fine amount is payable immediately with the remaining amount payable within 12 months. Pursuant to the DPA, LBI is required to retain an independent compliance monitor for a three year period. Typical of most corporate FCPA enforcement actions, the DPA contains a “muzzle clause” in which LBI agreed that it shall not directly or indirectly make any public statement contradicting the information set forth in the DPA. As noted in the DOJ’s release, Hirsch (61, of Makaati, Philippines) and McClung (59, of Dubai, United Arab Emirates) each pleaded guilty to one count of conspiracy to violate the FCPA and one substantive count of violating the FCPA. The sentencing hearings for Hirsch and McClung are scheduled for Nov. 5, 2015. 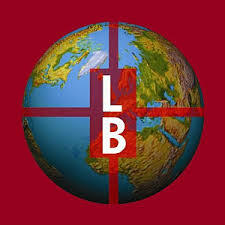 “Louis Berger International, has agreed to a three-year deferred prosecution agreement and $17.1 million fine with the U.S. Department of Justice for self-reported improper business activities principally conducted overseas by former managers between 1998 and 2010. All of the managers associated with these improper business activities were separated from the company following the early findings of Louis Berger’s internal investigations. Brian Whisler (Baker & McKenzie) and Michael Himmel (Lowenstein Sandler) represented LBI.